🔷 Delivery :End of April'19 - Early in May'19, CFR Karachi. 🔷 Delivery :End July’18 or Early Aug'18. 🔺IOCL has offered its PP material for Pakistan bazaar: $/mt. Shipment: CFR Karachi, End of April’18/ early in May’18. 🔷 Delivery :End Jan’18 or Early Feb,18. Shipment: CFR Karachi, End of Dec’17/ early in Jan’18. 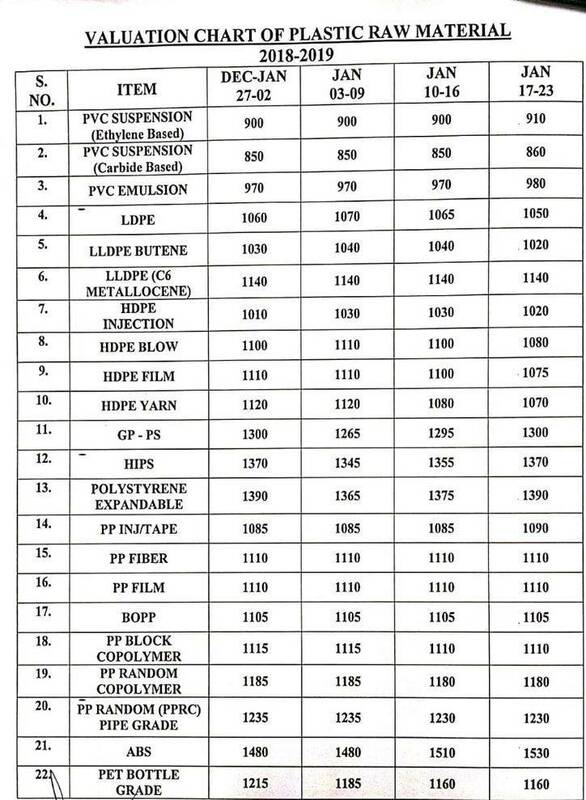 🔺IOCL has offered its Polymer material for Pakistan bazaar: $/mt. 🔹Shipment: End Mar/Apr'17, CFR karachi basis.